If you look very closely in every Super Mario or Mario game. You might of or might of not notice the drugs in the games. When Mario picks up a Super Mushroom. (Shroom) That makes him bigger. (well Mario thinks he's just bigger.) It's the first sign of drugs you will see, Because that shroom Mario eats get's him high. 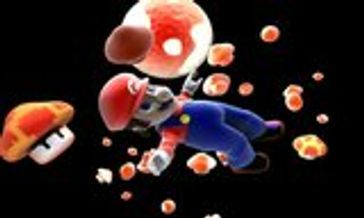 The Fire Flowers are able to make Mario shoot fire out of his hand. Well those are rare flowers. That if you touch them your hand will feel like it's burning. And you all know those brown leaves in Super Mario Bros. 3 that makes Mario fly? Just think about it. The leaves are dead. And are they're brown. Just like weed. When Mario touches it. You don't know if it just disapears or Mario does a quick roll up or Eats the drug. Mario must of either smoked it or ate it. Because after that. he grows Racoon Ears and a Racoon Tail. And the next thing you know what Mario does, Mario runs and flies HIGH into the sky for a short period of time. And what is messed up is that the clouds have eyes the goomba's who are walking mushrooms have eyes. The Bullet Bills have eyes and some of the fireballs you see have eyes. and the hills have eyes.. Yeah the Hills have eyes. And the walking bombs have eyes!! I know when you eat or smoke weed. You see some crazy $**t. And Mario is one step away of being in drug rehab. And the warp zones Mario takes leads him to the Mushroom Kingdom. Yeah The Mushroom Kingdom. It's like heaven for shroom eaters. Now the Toads who are little midgets have mushroom shape heads, And the Goombas are also walking Mushrooms. (Like I wrote before) That have feet under their heads. Now in the Japanese version of Super Mario Bros. 2. One mushroom is so poisoness that if you eat it has small Mario. It will kill you. I'm sure Mario loves muSHROOMs on his Pasta or Pizza. But driving in his gataway car still won't make Mario NOT have a hangover from being high. Now think about this RACISM. Mario is fat he as a mustache he's speaks english in a Italian accent. And he's a plumber? Have you even seen Mario plumb anything, besides his golden blonde hair Princess Peach Toadstool's golden hairy hole? And he even used to be a carpenter. In the TV show of Super Mario Bros. The two plumbers are from Brooklyn New York. and New York is one of the biggest cities in the world. so buying SHROOMS from a drug dealer in the dark alley is easy if you have the cash. I hope Mario didn't clean out his Mushroom Valley Bank account to get to Shroom Heaven? Mario is full bloody Italian. I'm sure he whacked a couple of guys for selling him non high mushrooms back in NYC. But when Mario is in the Mushroom Kingdom, Mario doesn't have any humans to kill. So he stomps on goombas. When he get's those high quality super shrooms he'll go and jump on everything or any kind of creature. and the goombas, Koopa troopa's, and the spiked creatures that are drop out from a cloud don't even try to attack Mario! They're just walking. Minding their own buisness!! Mario just have to watch out for the countdown clock, the bottomless pits, and King Bowser Koopa's traps. And think about this. Luigi is the black sheep of the Mario Bros. But he's in on every single thing that his older fat brother does. Looks like they will be in prison for a while. And also Mario & Lugi are canibals. The Mushrooms that come out of a question mark blocks are the DECAPITATED HEADS OF THE MUSHROOM PEOPLE!!!!! Now that is just sick. and how long would it be until Mario eats the Toads alive? And how long do you think it will take for the Mario bros to be spotted? or even aressted? The wanted posters are up. Mario should go to rehab to admit he has a muSHROOM addiction problem. and straighten his life around. But in the end you can't help but love those Itailian Plumbers who go out of there way to save the princess.